Every household should have a validated blood pressure monitor to ensure awareness of the risks of hypertension, campaigners say today. The general public are potentially putting their health at risk by not knowing their blood pressure, according to Blood Pressure UK. A nationwide survey found that two thirds of the population do not understand blood pressure numbers, which is important in understanding the risk of stroke, heart attack or heart failure. The charity found that 63.7% of respondents said they did not know their blood pressure numbers – with 16.2% stating that 130/80mmHg is a healthy reading. The survey also established that 38.6% of people are more concerned about other ailments than knowing their blood pressure numbers - while 26.7% of respondents said they thought going out with friends and socialising more of a priority than having their blood pressure taken. More than 2,000 people took part in the survey carried out by Censuswide. 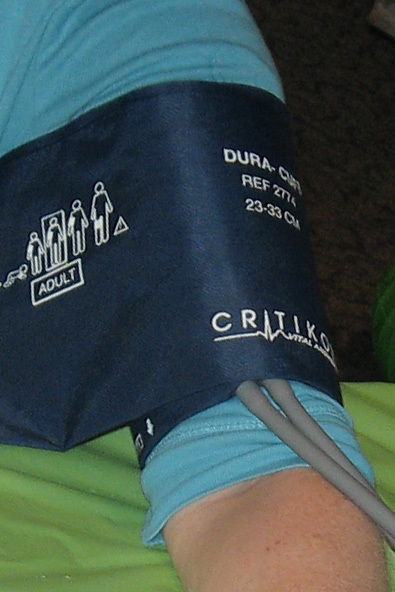 The charity is calling for households to acquire a validated blood pressure monitor - with government subsidies for those on low incomes and those most at risk. It claims this could help the NHS to save £1 billion every year for the 6.5 million people still undiagnosed. Blood Pressure UK is running a Know Your Numbers! Week from September 10-18 to raise awareness about the importance of understanding blood pressure readings. It is also holding free blood pressure testing around the country to encourage people to have their blood pressure measured so they can take the steps needed to maintain a healthy blood pressure and reduce their risk of debilitating strokes and heart attacks. The organisation’s chair Professor Graham McGregor said: “High blood pressure kills thousands of people every year in the UK and is almost entirely preventable.